The rise and recent fall of Andy Stern illustrates, as if through a glass darkly, that in this epoch there is nothing positive for the class as a whole to be achieved through the unions. With the resignation of SEIU leader Andy Stern, Loren Goldner looks at his legacy and analyses the development and function of trade unions over his career. 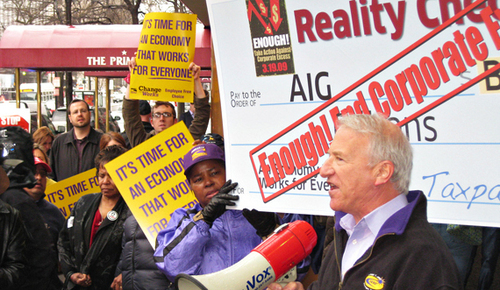 Bruce Raynor just resigned from Workers United and SEIU amidst funny money allegations.